This topic contains 8 replies, has 8 voices, and was last updated by BowTiesAreCool 3 years ago. Is Rory a doctor or a nurse? I’m not really sure. I think he used to be a nurse but then was promoted to a doctor. But isn’t it funny that Martha Jones was a medical student and Rory is a professional nurse/dotcor? 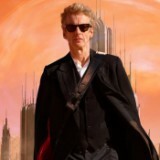 Maybe the Doctor likes the idea of traveling with people who ‘aspire’ to be like him! @marmar and @thepapalmainframe. Rory was a nurse. The only promotion he receives is to be made a “permanent” as opposed to “on call”. I have never heard of a nurse being promoted to a doctor. I think a trip back to Uni, lots of study and exams would be required for that. I think the less illustrious position of nurse best fits Rory’s character. He is a carer with no interest or desire for social status or authority. Not to say that Martha was a Doctor for those reasons. Martha is a doctor because she is smart and needing to show it, or RTD is needing to show it. Martha is intended to be the opposite of Rose, wealthier family, well educated, aspirational, with a career. Perhaps the reason her character was less successful than either Rose or Donna was because as such she did not evoke the audience’s sympathy. Also perhaps why she was at her best in the Human Nature two parter where she is put into a discriminatory situation. I think it was the only time Freema was really given something to work with. She really shines in those two episodes. I suspect that RTD made Martha a doctor for different reasons to those of SM in making Rory a nurse. It does work well however in the overall scheme of things. I agree that Rory would’ve had to go to Uni again to become a doctor – but I did always wonder what his career was in the 1930’s US. Did he remain a nurse (with forged date-appropriate qualifications), or did the need to go back to college mean that he applied for medical school and MD training? @bluesqueakpip @thepapalmainframe @janetteb I would love to see or read a spin off of Amy and Rory in the 1930s. What a great idea. Rory was always a nurse, except in his dream during ‘Amy’s Choice’ where he fancies himself a Doctor….with really bad hair. I have been on the same park as the Doctor was on, its in Cardiff. The episode is funny but in Doctor Who I am not looking for fun in Doctor Who I want serious episodes. Admittedly it is a good and enjoyable episode with references to the doctor’s two hearts and asking Amy how she can deal with only one heart.